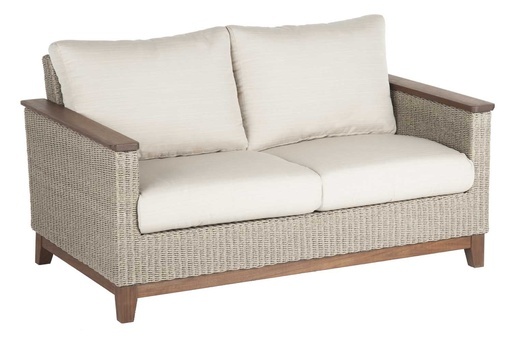 The Coral Loveseat is perfect for two to cuddle. 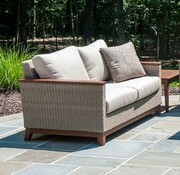 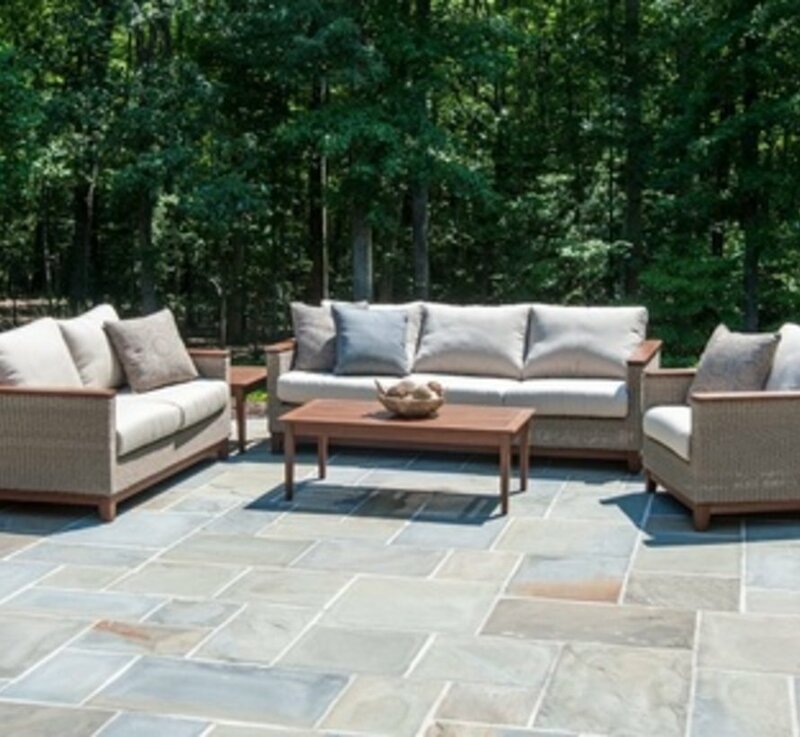 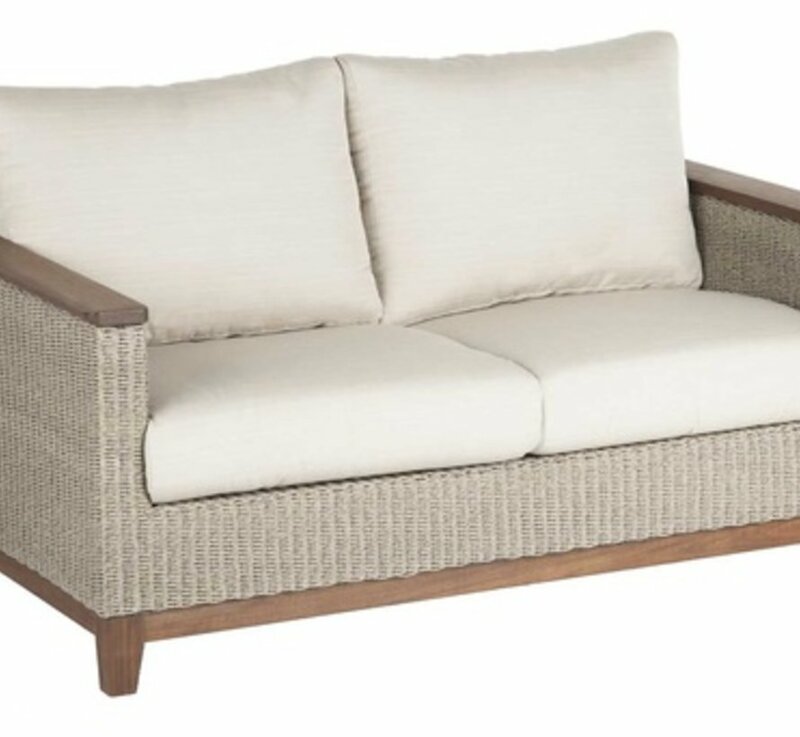 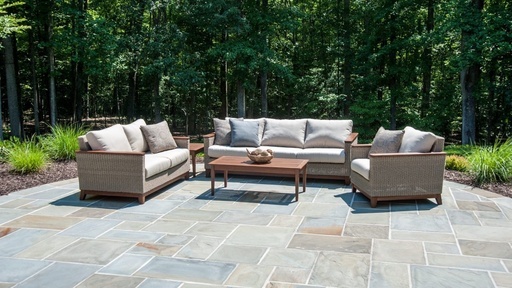 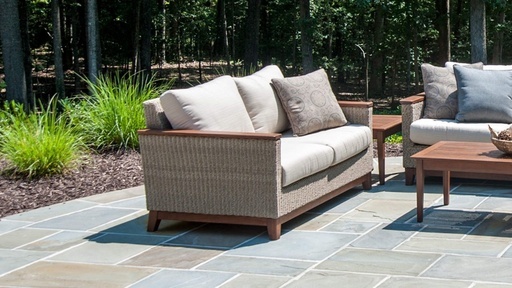 The loveseat is designed in all-weather wicker. 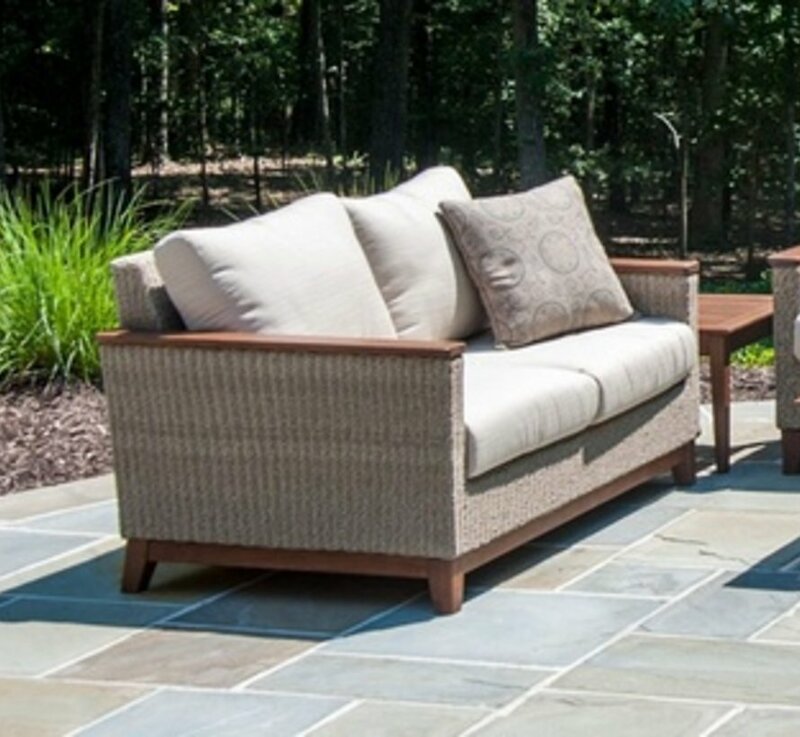 The weave is on a commercial grade powder coated aluminum frame and the arms and base are made of 100 percent FSC certified Ipe timber.